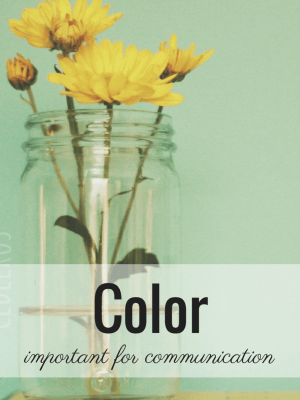 New article on the overview of color as a nonverbal influence. Everyday you are bombarded with millions of images. Some perceived others not consciously perceived. Advertisers want our attention. As we get more and more images, our conscious brains – the part we think we control – ignore even more. So now we ignore more than we see. In other words, did you notice the color blue this morning on your way to work/coffee/gym/school? Even if it is dark outside, the chances of you not seeing the color blue is very, very slim as so many cues in our environment, natural and man-made, are blue. And we respond to the colors we see. Scientists theorize that this is an evolved response relating to our ancestor’s predilection towards certain habitats and environments. 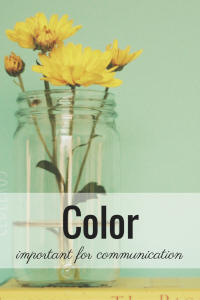 We therefore evolved a positive response to certain colors associated with good foods and safety, while we instinctively became wary and attentive in the presence of colors that indicated danger. Cowboys fans are wary of the color green . . . on jerseys. Jerry’s not wary of green, but the fans are. Stars fans are leery of excessive red. Mavs fans . . . are so bombarded and overstimulated I’m not sure they can be wary. We know that refs and fans will call more penalties on teams wearing black for the same exact plays than if the team wore any other color besides black, even dark navy. We are so deeply wired if Madison avenue really figures out the contextual color buttons, we are toast. You’ll be buying snuggies for your dog and slippers for your cat. *As a loyal reader, all three of you, you should expect ridiculous jokes. P.S. No one would cry, it’s a mime for heaven’s sake.